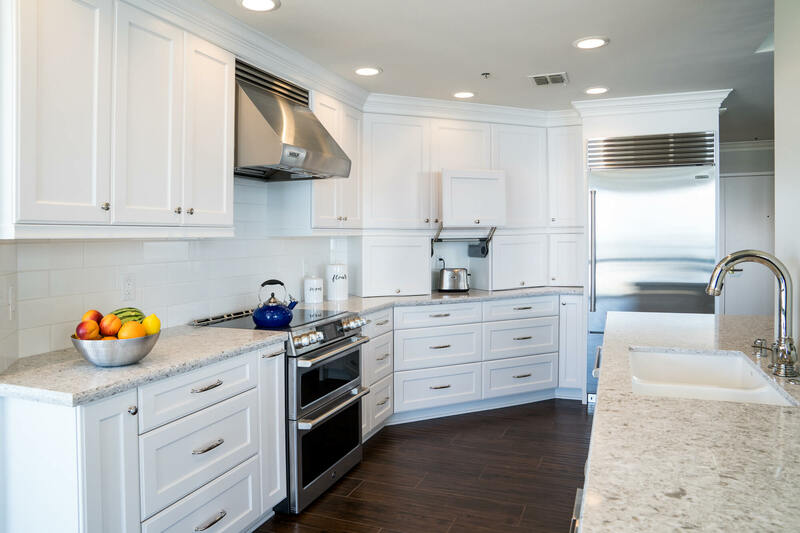 Mirroring the historic essence of Laguna Beach, this galley kitchen was designed with timeless sophistication in mind. 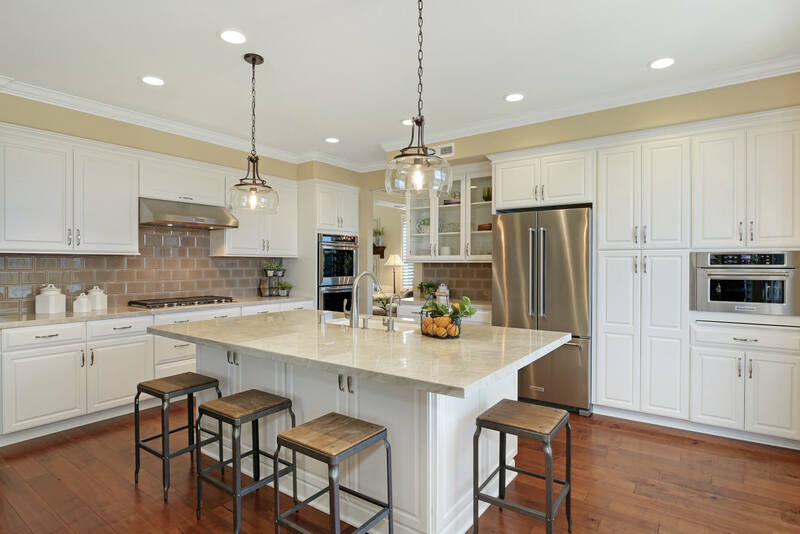 Considering the narrow floorplan, the “Renner” cabinet door style offered the perfect amount of style without an overwhelming amount of detail. 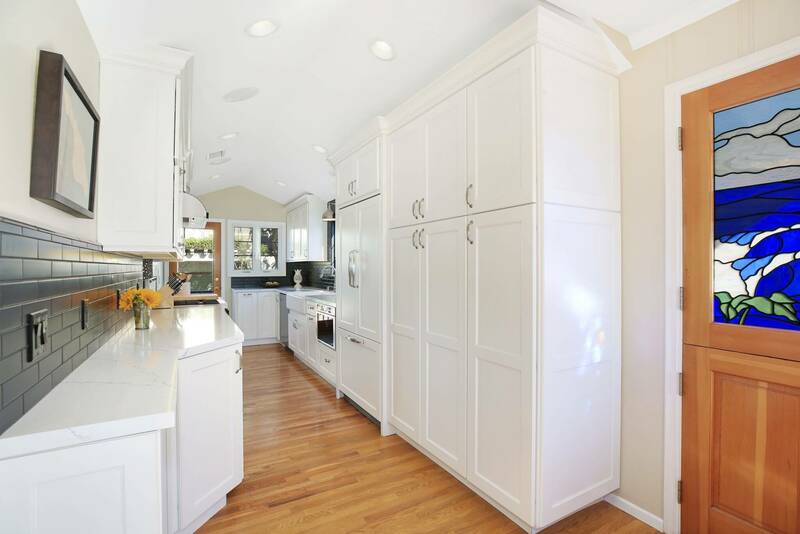 In an effort to match the natural brightness of the home, the “Elemental White” finish was chosen for the kitchen cabinetry. The timeless “subway pattern” backsplash is elevated through the use of matte black tiles, fitting seamlessly within the design style our client was working towards. 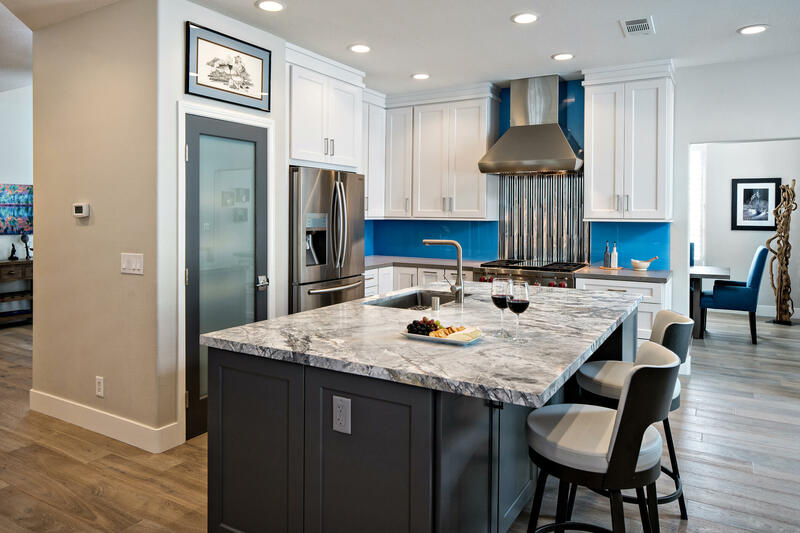 Perfect for our client’s active lifestyle, a low maintenance quartz countertop with dark veining completes this transitional design aesthetic.